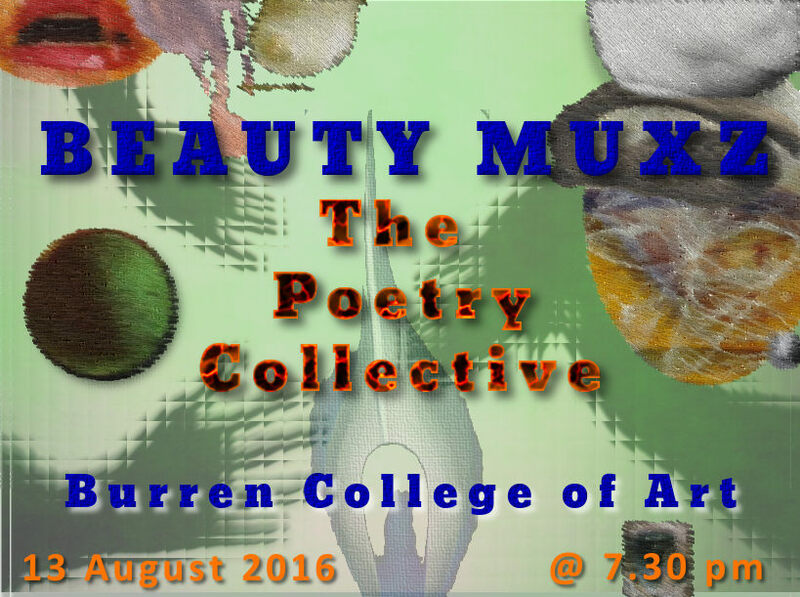 The Beauty MUXZ was performed at the Burren College of Art on Saturday 13 August 2016 to an invited audience of friends and relations of the late poet and artist Peter Kay (1951-2015) as a tribute and homage to him. 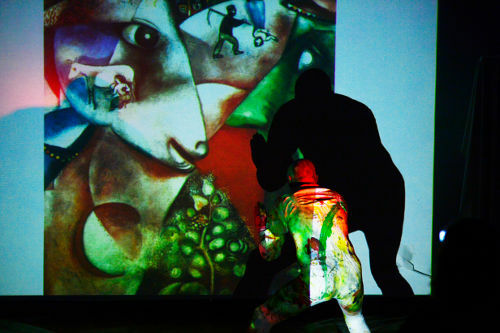 The performance consisted of a slide show of famous and lesser known works of art in the form of paintings, sculptures, photographs, album sleeves, body art, dance and so on projected onto a white wall, accompanied by a 29m 50s sound track, and an interpretive series of movements performed by a figure in white (Patrick Stack) on a large piece of canvas on the floor using poster paint to create a painting. 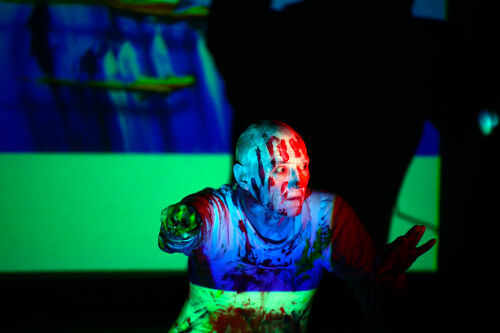 The performance was filmed by artist Carmel Doherty. Carmel also edited the film footage of the Beauty MUXZ to produce a final polished record which you can view on the right. A reading of a selection of Peter Kay’s poems by members of the Poetry Collective followed the performance. A list of the slides used will be posted here in due course. 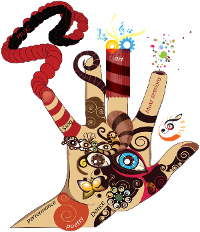 In the creation of the sound track Patrick Stack used short excerpts from the following pieces of music in the order below. Please note that the finished video of the performance (see above right) is, at 13m 14s long, less than half of the length of the actual performance which lasted for just under 35 minutes, and in consequence many of the excerpts listed below do not appear in it. Thanks to photographer Cyril Byrne for the stills he took below.